Juan Miguel Aguado is Assistant Professor of Journalism & Media at the School of Communication and Information Studies, University of Murcia (Spain), where he teaches Communication Theory. He is co-founder and co-ordinator of the e-Com (Research Group on Communication, Culture and Technology). Mobile Communications and Mobile Media: How ubiquitous technologies are reshaping social landscape, cultural industries and digital content. Technological mediation of experience: The cultural construction of experiences in a technical and sociological ground. Communication Theory and mediatization: How images, representations and communications within the social game of consumption are transforming the way in which we construct our individual and collective identities. Complexity and the epistemology of communication: How systems theory and complex thinking contribute to philosophy of communication. Systems Theory and Cultural Studies: Strange marriage for strange times. Juan Miguel Aguado finished with distinction his Master of Arts in Journalism Studies at the Complutense University of Madrid (Spain) in 1993. He was awarded by the Spanish Ministry of Education as having one of the best student records in his field in Spain. He obtained a Research Grant (FPU) that allowed him to finish doctoral courses while studying in Warsaw (Poland). During four years (1994-1997) he lived in Warsaw, obtaining a Master Degree in Social Research at the Institut Filozofji i Socjologii (the Institute of Philosophy and Sociology depending from the Polish Academy of Sciences). There he could enjoy the lectures of outstanding Polish social scientists coming from universities all over the world, like Marek Bielecki or Zygmunt Bauman. In 1996-1997 he was also lecturer of Social Science Methodology and Discourse Analysis at the University of Wroclaw, in South-West Poland. Back in Madrid, Juan Miguel obtained with honours his PhD in november 1998, in the Department of Information Theory at the Complutense University of Madrid. In 1999 he started lectures at St. Anthony Catholic University in Murcia (South East Spain). There he taught Communication Theory, Discourse Analysis and Science Journalism. From the beginning of his academic career, Juan MIguel is deeply commited about teaching and co-ordinating academic life. In 1999 he designs and co-ordinate the first doctoral program in communication at St. Anthony Catholic University, the Doctoral Course on Applied Communication. Since 2000 he is member of the Doctoral Commission at that University and since 2001 he is the Head of the Department of Social Sciences and Communication. In 2002 the State University of Murcia commits to launch Communication Studies. Juan Miguel is called to head the implantation of the new studies. He is named in 2002 Vice Dean for Communication Studies co-ordinating during a decade (2002-2012) Faculty positions, organization of timing and teaching programs as well as the relations with professional environment in the fields of Journalism and Advertising. As a part of his commitment in the development of Communication Studies, he becomes an active member of the National Conference of Schools of Communication and directly participates in the National Report on the Adaptation of Communication Studies to the European Higher Education Space under the Bolonia Treaty. Accordingly, he has also developed several research projects on teaching innovation in Communication Theory. He is also member of the Research Commission of the University of Murcia since 2012. As Assistant Professor at the University of Murcia, he has tought courses on Communication Theory and Journalistic Writing. Currently he is teaches Foundations of Communication and Media Ecosystem Evolution in Journalism and Advertising Graduate Studies. He is also involved in the development of Faculty's Doctoral Program, participating in postraduate programs with lectures on the social impact of new media. He has also collaborated with postgraduate programs in Seville and Lisbon. After a decade of pioneering research on mobile content evolution in Spain, Juan Miguel launches and coordinates in 2014 a Master Degree in Mobile Communication and Digital Content as a joint program for the School of Communication and Information Studies at the University of Murcia, and the School of Telecommunications at the Technical University of Cartagena. In this postgraduate program Juan Miguel is also responsible for the courses on Mobile Ecosystem Evolution and Case Studies in Mobile Communication and Digital Content. Since 1997 Juan Miguel Aguado is member of the Research Committee on Sociocybernetics (RC51). RC51 devotes to the international scholarly exchange, research and development of systems theory and complex thinking, being an active part of the International Sociological Association (ISA). In 2006 he is elected for the Executive Board of the RC51. He has organized the VII International Conference on Sociocybernetics "Technology and Social Complexity", held in Murcia in 2007. Since 2010 he also act as co-editor for the Journal of Sociocybernetics. He is also member of other ISA Research committees, like the Research Committee on Sociology of Culture and Communication (RC14) and the Research Committee on Social Clases and Social Movements (RC47). In 2000 he co-ordinates a research project on e-Communication in cooperation wit Rutgers University about the new professional skills and roles in the context of digital convergence. In 2001 Juan Miguel obtains university support for the development of a research project on media representation of violence from a cultural studies perspective. With Inmaculada J. Martinez he founds in 2002 the e-Com, the Research Group on Communication, Culture and Technology, devoted to the improvement of the research on social and cultural aspects of media and communication. In 2006-2010 Juan Miguel participates in a national four year research project on Women and Mobile Communications in the Information Society, co-ordinated by Inmaculada J. Martinez and supported by the Spanish Ministry of Social Affairs. He is also an active member, during 2007-2009, of a nation-wide research project on Media and Digital Convergence in Spain, supported by the Spanish Ministry of Science and Innovation. In 2010 Juan Miguel obtains finantial support from the same Spanish Ministry of Science and Innovation for a four year research project on the evolution of mobile content ecosystem, involving five universities in Spain and developing the findings from the 2006 research project on social impact of mobile communications. In 2014 he obtains a R+D research grant from the Spanish Ministry on Economy and Competitiveness for a 4 year research project entitled "Mobile Media & Personal Data: Impact in Media Studies, Advertising System and Users' Behavior", in co-operation with James Katz (Boston University) and Gerard Goggin (University of Sydney). In the context of this research project, Juan Miguel gets in 2015 a research leave for a six month visiting scholarpship at the Newcastle Business School (Northumbria University, UK) with Professor Jason Whalley. In July 2015 he is awarded with another, complementary, 3 year research project funded by the Murcia Regional Government Agency for Science and Technology: "Mob Ad: The impact of Mobile Technolopies in Strategic Communication and Advertising". .
Beside this, Juan Miguel Aguado has participated as member of the organizing committe in several international conferences and workshops (International Association for the Development of the information Society, 2006; Mobile Content in the Information Society, 2007, Online Conference on Cybersociety, 2004 and 2006, etc.). He is also member of the Editorial Board of some relevant journals in the field of communication both in Spain and abroad (Razon y Palabra, Mexico; Cuadernos de Informacion y Comunicacion, Madrid; Sphera Publica, Murcia) and acts as reviewer for journals like Systems Research and Behavioral Sciences (SCCI), Kybernetes (SCI), Information Research (SCCI), Information Society (Taylor & Francis), Textual & Visual Media, Global Media Journal, Comunicacion y Sociedad (SCCI), International Sociology (SCCI) or New Media and Society (SCCI). He actively co-operates with other research initiatives, like the UNESCO Chair on Communication for Development (1996-1999), Communication and Migration Network (University of Seville, Spain), the Research Group on Consumer Behaviour (Elche, Spain) and the UNESCO Chair on Information Management (since 2002). 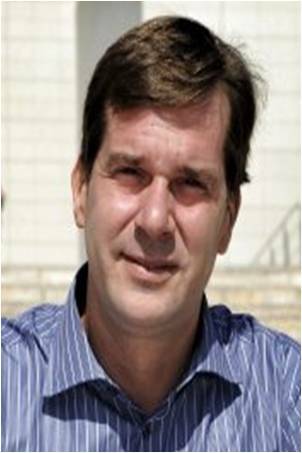 Juan Miguel aguado is author of 7 books and over 30 papers in refereed international journals, and he has participated with refereed papers in about 50 international conferences and workshops. Contributions include experts and practitioners from Brazil, France, Portugal, Spain Sweden and the USA. La Comunicación Móvil: Hacia un nuevo ecosistema digital. Barcelona, Gedisa. 2013. 350 pp. ISBN: 978-84-9784-782-7. 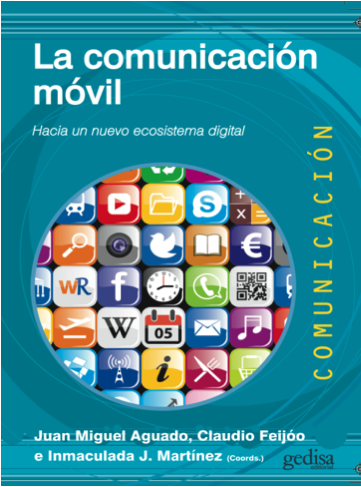 This book summarizes the results of a four year Mobile Media Research Project founded by the Spanish Ministry of Science and Innovation. The book approaches those transformations in the media ecosystem grounded in mobile techno-economic influence. Contents comprise a general analysis of the mobile ecosystem and specific approaches to the state of the art of different creative industries in the mobile environment: mobile music, mobile games, mobile news, mobile publishing, mobile television and video, etc. 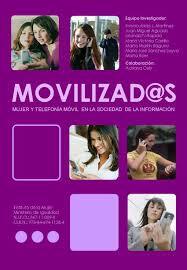 Movilizad@s: Mujer y telefonía móvil en la Sociedad de la Información. Madrid. Instituto de la Mujer. Ministerio de Igualdad. 2010. 362 pp. This book summarizes the results of a 3 year research conducted under the uspices of the Spanish Womens' Institute about the impact of mobile communications in work-live management and in gender role management habits for women in Spain. Murcia. Editum. 2009. 396 pp. Sociedad Móvil: Tecnología, Cultura e Identidad. 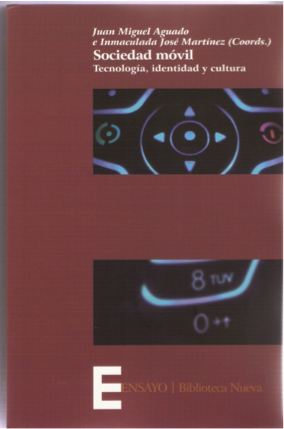 Published in the context of a research project founded by the Regional Agency of Science (Seneca Foundation), this book raises a scholarly debate on the social implications of mobile communications. It includes papers from relevant researchers from USA, China, Italy, Germany, Australia, and UK. Introducción a la Comunicación Periodística Escrita. Murcia, DM Ed., 2005. 200 pp. ISBN: 84-8425-436-4. Subject text about skills and techniques for written expression improvement, journalistic genres and reporting procedures. E-Comunicación: Dimensiones sociales y profesionales de la comunicación en los nuevos entornos tecnológicos. Sevilla. Comunicación Social Ediciones. 2004. 290 pp. ISBN 84-96082-20-2. Edited book on professional and social transformations in journalism and communication resulting from digital media convergence. Murcia, DM Ed., 2004. 250 pp. ISBN: 84-8425-363-5. Subject text on Communication Theory for Journalism Studies and Advertising Studies. La violencia en la generación de culturas fronterizas. Sphera Publica.Universidad Católica San Antonio. Murcia, 2003. 348 págs. ISSN: 1180-921. Edition of the issue 3 of Sphera Publica, with contributions by relevant sociologists like Michel Wieviorka, Michel Maffesoli, Gonzalo Abril, Bettina Schmidt, Miquel Rodrigo, Marc Howard Ross or Daniel Innerarity. It deals with the issue of cultural implications of violence and its representations in the media. 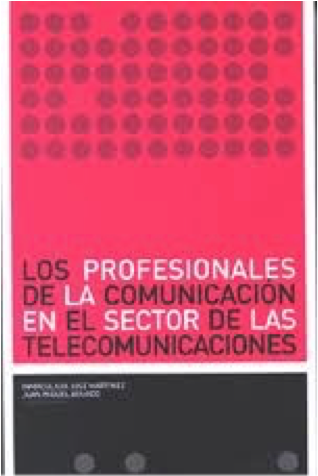 Los profesionales de la comunicación en el sector de las telecomunicaciones. Comisión del Mercado de las Telecomunicaciones y Universidad de Murcia. 2003. 112 pp + CD. ISBN: 84-933254-4-9. Pioneering work on the mobile transformations of the telecom sector and their implications in the communication professions. Includes the contribution of relevant professionals form the main Spanish and Latin American Telecoms. Includes a CD with an analysis of telecom advertising campaigns. Comunicación y Cognición. Las bases de la complejidad. Seminal work based on PhD research on the implications of the complex thinking for the epistemology of communication. It includes extensive insights about the contribution of mathematics, systems theory and socio-cybernetics to the study of communication. « The problem of culture and observation as a point of confluence for cybernetics and human sciences ». In VV.AA. Proceedings of the Xth International Conference on Systems and Cybernetics, World Organization on Systems and Cybernetics. Pp. 83-87. Bucarest, 1996. « El Golem y el jugador de ajedrez: la IA como mitología de la Naturaleza ». In Sphera Publica. Revista de Ciencias Sociales y de la Comunicación. Nº 0. Pp 111-119. Murcia, UCAM. 2000. «Atlas Filosófico de Inteligencia Artificial». In Cuadernos Hispanoamericanos. Nº 596. Pp 7-15. Madrid. 2000. «Los nuevos sujetos sociales: interior y exterior en la Red». In Tripodos. Nº especial. Barcelona, Universidad Ramon Llull. 2000. Pp 183-192. 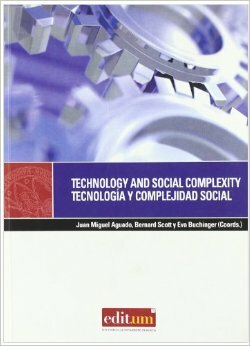 « Tecnociencia y sociedad: hacia una epistemología de la producción ». In Sphera Publica. Revista de Ciencias Sociales y de la Comunicación. Nº 1. Murcia, UCAM. 2001. Pp 155-179. « Making the social subject: the role of theory and technology in social emergence». In Journal of Sociocybernetics, vol. II, nº 1. Pp. 2-9. ISA Research Committee on Sociocybernetics. Amsterdam, 2001. « La mediación tecnológica de la experiencia: la globalización de los marcos experienciales en la construcción de imaginarios socioculturales». In Razón y Palabra. Revista Latinoamericana de Comunicación. Nº 27. México. 2002. «Systems Approaches: A Technology for Theory Production». In PARRA-LUNA, F. (Ed.) Systems Sciences and Cybernetics. Encyclopaedia of Life Support Systems (EOLSS), Developed under the auspices of the UNESCO, EOLSS Publishers, Oxford, UK, [http://www.eolss.net], 2002. « Los Nuevos Dispositivos Tecnológicos de Mediación de la Experiencia y su Repercusión en el Relato Reflejo del Mundo Social ». In Textos de la Cibersociedad. Nº 2. Barcelona. 2002. [http://cibersociedad.rediris.es/textos]. « La antropodicea y el salón de los espejos: la interpretación de la violencia en la era de la comunicación ». In Sphera Publica. Revista de Ciencias Sociales y de la Comunicación. Nº 3. Pp 3-13. Murcia, UCAM. 2003. «La Gorgona y el Espejo: Sobre las implicaciones socioculturales de la representación de la violencia ». In: Tripodos. Violencias y medios de comunicación: Recursos y Discursos. Pp. 59-84. Barcelona, Universidad Ramon Llull. 2003. «La Experiencia como Concepto Observacional en la Investigación sobre Comunicación, Cultura y Globalización». Boletín de ALAIC (Asociación Latino Americana de Investigación en Comunicación). Monográfico sobre Nuevas Tecnologías de la Comunicación. Nº 17. Junio-Julio 2004. « Espectáculo y mediación de la experiencia: de la industria cultural a la comercialización de las identidades ». Presentación del número 39 de Razón y Palabra: La Nueva Sociedad del Espectáculo: Los Media y el Mercado de la Experiencia. Junio-Julio 2004. «La información como problema observacional». CIC. Cuadernos de Información y Comunicación. Nº 10. Pp. 197-218. Información, cognición y memoria. Departamento de Periodismo III. Universidad Complutense de Madrid. Madrid, 2005. «Information, Self-Reference and Observation Theory in the Context of Social Sciences Epistemology». In: TripleC. Communication, Cognition and Co-operation. Vol. 7, nº 2. Pp. 344-356. Austria. 2009. www.triple-c.at. «Del contenido a las relaciones: El impacto del ecosistema móvil en las industrias culturales». In: Telos. nº 99. Pp.:135-145. ISSN: 0213-084X. Fundación Telefónica, 2014. «Los gigantes, los ratones y el pastel: Las industrias culturales y el entorno de la movilidad».En VV.AA. Mobile Communication, 2012: Experiences y Recerques sobre Comunicaciò Móbil. Barcelona, GRIID, 2012, pp. 7-21. «Mobile television: A Paradigmatic Case of the Uncertainties and Opportunities of the New Media Ecosystem». En Abruzzese, A.; Barile, N.; Gebhardt, J.; Vincent, J. y Fortunati, L.. (2012) New Television Ecosystem. Peter Lang, Frankfurt am Main, pp. 141-158. «El medio líquido: La comunciación móvil en la Sociedad de la Información». 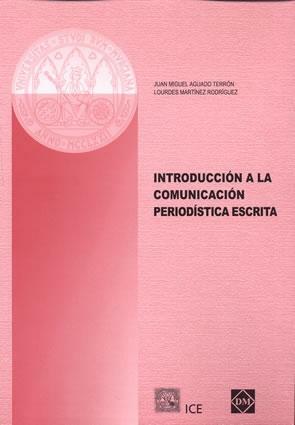 En Del Valle, C.; Moreno F.J. y Sierra, F. (2012) Políticas de comunicación y ciudadanía cultural iberoamericana. Barcelona, Gedisa, pp. 119-175. «La industria del contenido en la era Post-PC: Horizontes, amenazas y oportunidades». En Canavilhas, J. (2013) Noticias e Mobilidade: Jornalismo na era dos dispositivos mobeis . Portugal, Labcom, pp. 5-32.